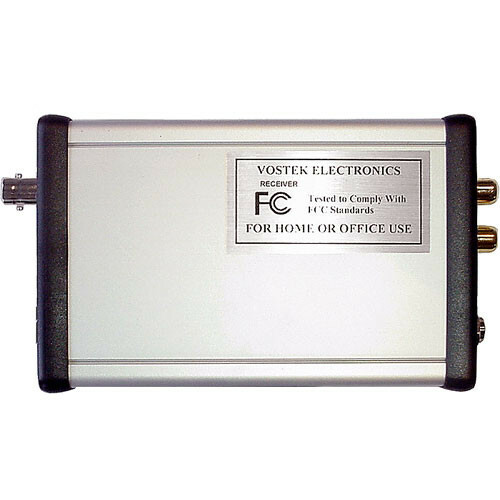 The RF-Video RM-900B is a compact and sturdy video and audio receiver for use with any transmitter operating in the 900 MHz AM frequency band. Twelve preprogrammed channels provide tuning flexibility while a standard BNC connector offers compatibility with a wide range of antennas including antennas with gain. A built-in band filter and preamplifier ensure maximum sensitivity and stability throughout its range of channels.